I ran into this interesting photo essay book at the local Kinokuniya Book Store. You can say, this is the portrait of Hong Kong in the “alternative” sort of way. What’s interesting is that, the photographer’s image of Hong Kong is exactly how my impression of Hong Kong is like in the artiz-fratiz saturated style… All night shots too. 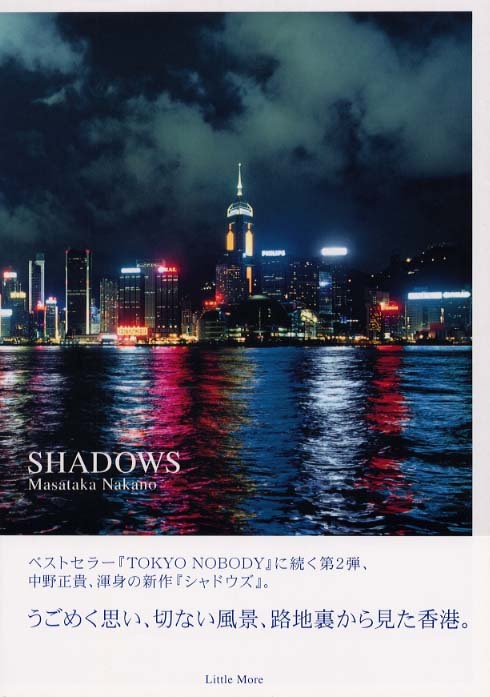 The name of the book is SHADOWS by Japanese photographer Masataka Nakano ISBN4-89815-079-0. It’s 3,000 Yen and you shouldn’t have any problem finding it… Larger image of the cover can be found here. Some details of the book can be found here.